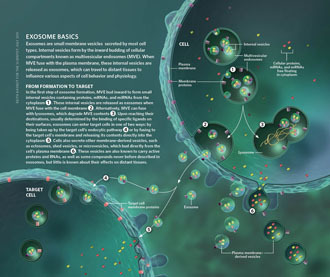 Exosomes and other extracellular vesicles (commonly referred to as EVs) have generated a lot of attention for their potential applications in both diagnostics and therapeutics. 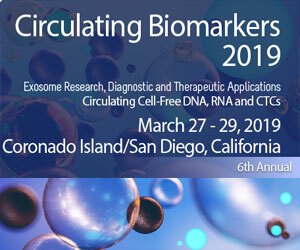 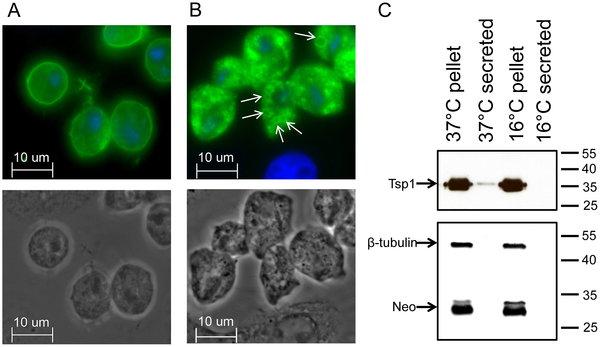 The contents of these vesicles are the subject of intense research, and the relatively recent discovery of RNA inside EVs has raised interest in the biological function of these RNAs as well as their potential as biomarkers for cancer and other diseases. 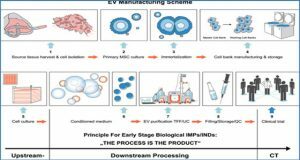 Traditional ultracentrifugation-based protocols to isolate EVs are labor-intensive and subject to significant variability. 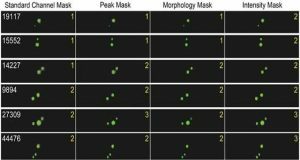 Various attempts to develop methods with robust, reproducible performance have not yet been completely successful. 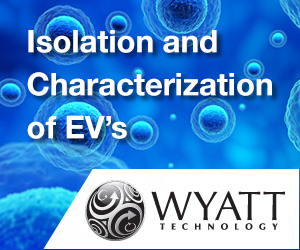 Here, researchers from Exosome Diagnostics & Qiagen report the development and characterization of a spin column-based method for the isolation of total RNA from EVs in serum and plasma. 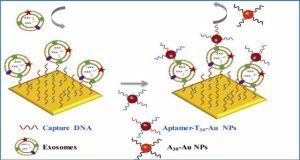 This method isolates highly pure RNA of equal or higher quantity compared to ultracentrifugation, with high specificity for vesicular over non-vesicular RNA. 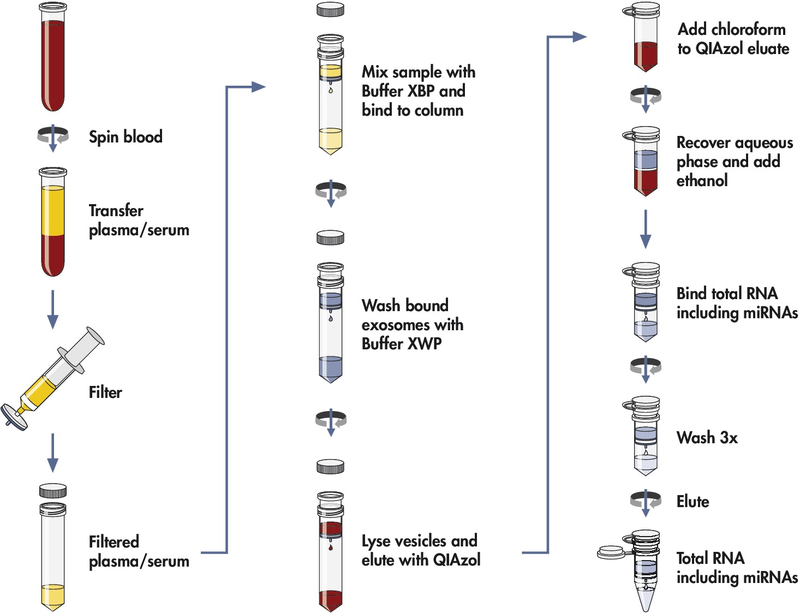 The spin columns have a capacity to handle up to 4 mL sample volume, enabling detection of low-abundance transcripts in serum and plasma. 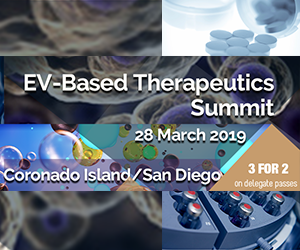 The researchers conclude that the method is an improvement over traditional methods in providing a faster, more standardized way to achieve reliable high quality RNA preparations from EVs in biofluids such as serum and plasma. 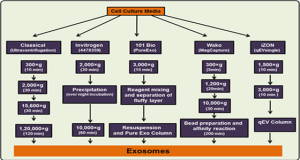 The first kit utilizing this new method has recently been made available by Qiagen as “exoRNeasy Serum/Plasma Maxi Kit”. 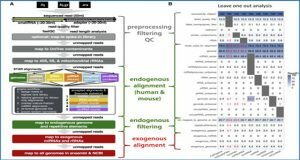 Workflow for isolating RNA from extracellular vesicles using membrane affinity columns. 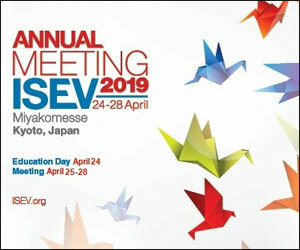 EV RNA is isolated from whole blood by separating the plasma or serum, pre-filtering the sample to exclude cell-contamination, and loading on the membrane affinity column followed by a brief wash. 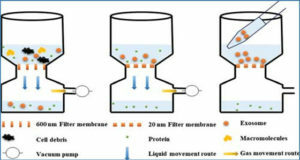 The bound vesicles are lysed and eluted with QIAzol; the RNA extracted by addition of chloroform, precipitated by ethanol and further purified using an RNeasy column.